The Supreme Court on Thursday stated that it would hear on December 4 the plea for lifelong restraint from contesting elections on politicians convicted for criminal offences. 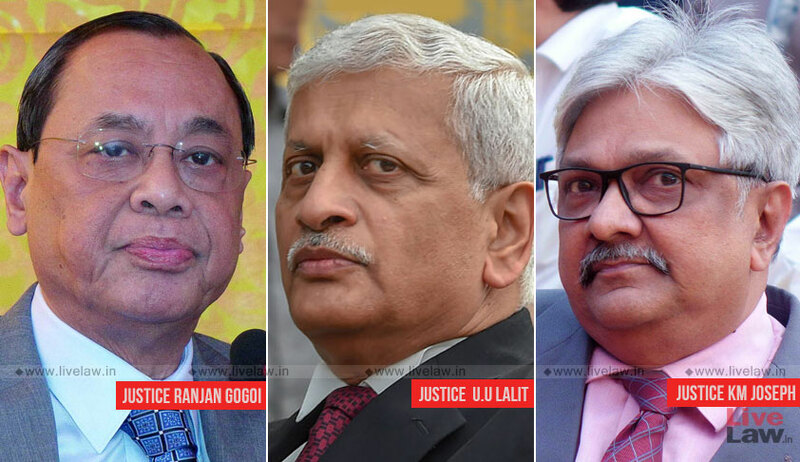 The bench of Chief Justice Ranjan Gogoi, Justice U. U. Lalit and Justice K. M. Joseph was hearing BJP leader and advocate Ashwini Kumar Upadhyay’s PIL to provide adequate infrastructure to setup Special Courts to decide criminal cases against People’s Representatives, Public Servants and Members of Judiciary. Senior Counsel Vijay Hansaria, appointed Amicus Curiae in the matter, was of the view that in place of establishing special courts, it would be more feasible to assign one Sessions and one Magistrate’s court in each district to exclusively try cases against MPs and MLAs. "Earmarking a particular Court in each district to try criminal cases involving elected representatives both at Sessions and Magisterial level and directing such Courts to treat the said cases involving elected representatives on a priority basis could be a viable option to enable the Court to ensure timely completion of criminal proceedings against such elected representatives", he submitted. He has drawn the attention of the Court to an information received by him from the Registrar (Judicial) of the Gauhati High Court furnishing the information as per the said form insofar as the State of Assam is concerned. Similar such information has been received by him in the said form in respect of States of Arunachal Pradesh and Nagaland. "At this stage, when information from the other High Courts have been called for and are awaited we will reserve our orders in the matter and consider the suggestions of the learned Amicus Curiae on a subsequent date after the details of pending cases against elected representatives as per the form suggested by the learned Amicus Curiae is made available. For the present, we direct the Registry of this Court to forward a copy of the said form, annexed at Annexure 6 to the written submissions filed by the learned Amicus Curiae dated 23rd October, 2018, to the Registrars General of all the High Courts in the country to furnish the necessary information which will be so done on or before 27th November, 2018"
Solicitor General Tushar Mehta advanced that where the Pendency of criminal matters against elected representatives is lower, ordinary courts could only attend to them, seeking time to file the Centre’s response in this behalf. Further, the bench remarked that Mr. Upadhyay should not overlook the primary prayer for banning for a lifetime politicians from contesting elections upon conviction, fixing the December 4 date. On Mr. Upadhyay’s petition, The bench of Chief Justice Gogoi and Justice Navin Sinha had on November 1 last year directed the Centre to frame a scheme for setting up special courts exclusively to deal with criminal cases involving political persons on the lines of the Fast Track Courts.